Between May 21 and June 21, the sun will pass through the sign of Gemini, which we see in the night sky as the twin stars Castor and Pollux. Those born in this time frame are known for having a dual nature– hence the “twins” symbolism. In other words, Geminis can change like the wind: their moods, their plans, or their personalities for example, according to Astrology.com. The Sakura prayer beads for the month of June present us with the healing properties of pearl, opalite, and quartz. Pearl, a June birthstone, is technically not a “crystal”, but nonetheless is known to heal via elements of love and protection. Healing With Crystals tells us that pearl balances and opens all seven chakras. Through unconditional love, pearl aids in the discovery of your true self, or the “you” that you were (and still are, on the inside) before the world’s pressure and expectations adulterated your eternally perfect consciousness. Opalite, also known as “Tiffany Stone”, is known for opening up communication channels: it allows the wearer to express desires or needs that one had suppressed out of fear or apathy. Crystal Age quotes that opalite helps us work ourselves out of the pits of depression and anxiety by regulating the extremes of our emotions. Finally, this prayer mala includes clear quartz, the ultimate purifying and unblocking stone. 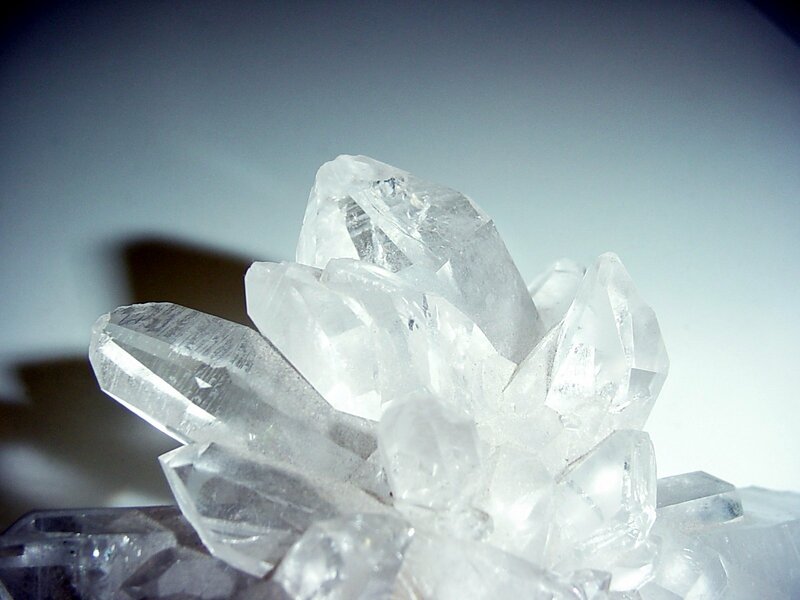 Quartz cleans negative energy from other gemstones, and it amplifies the power of any stone it’s near. It unblocks and opens the chakras and the mind, which makes it a great meditation stone. 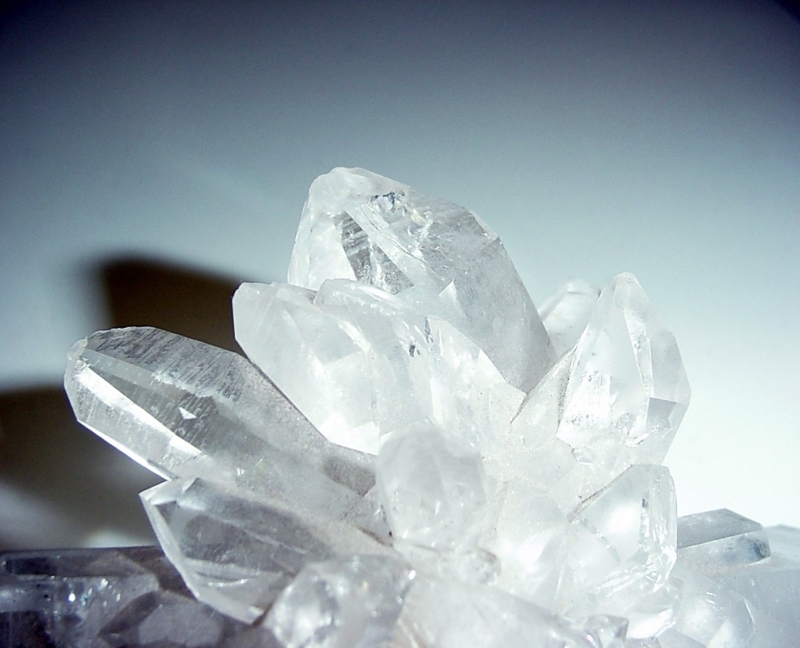 Holding quartz while meditating will help you to let go of unhelpful or negative thoughts. According to Crystal Vaults, quartz allows you to replace unproductive thoughts with positive feelings and thoughts instead. Those born under Gemini may experience struggles with indecisiveness or confusion due to their inherent duality. This month’s mala is perfect for not only Geminis, but anyone experiencing confusion or any kind of life change. With opalite and its ability to take the edge off the extreme poles of a Gemini’s personality, paired with quartz for clear thinking and pearl for feeling loved and protected during difficult times, this mala’s benefits manifest in one’s mental clarity and in the direction and purpose of one’s life.